This tutorial covers the Geometry in Euclid's Elements. Euclid's famous text was "the" book for the study of Geometry until the 19th century. It has been studied by a host of intellectual greats. His systematic approach to Geometry is not a only a tremendous study in how to think and reason, but it became the paradigm that later philosophers would attempt to follow in setting up their own systems of thought. There is really no other mathematical text that rivals its impact on intellectual history. This tutorial is highly recommended not only for its tremendous historical value, but also as a fine addition to the Geometry-starved Saxon program. The only fault I see with the Saxon programs is its meager treatment of Geometric proofs. Along with Saxon, most modern math texts are downplaying Geometric proofs because they are teaching to the SAT and it does not require proofs. But after going through the magnificent proofs of Euclid, you will see why his work is truly a mathematical classic. In order to enroll in the second year of the Great Books Tutorial, all students must take my Euclidean Geometry course. The course requires 5-10 hours a week of preparation and should be seen as a college level mathematics course. The Elements comprise the greater part of the freshman year mathematics program at St. John's College and my tutorial is closely modeled after that course. How does this course compare to a conventional Euclidean Geometry course? Conventional high school Geometry texts study proofs for the first semester of the year and then study the application of Algebra to Geometry that was developed by Descartes (Cartesian) during the second semester. Though based on Euclid, the conventional study of proofs is usually much less thorough than the proofs in Euclid. Cartesian Geometry is on the SAT and should be studied as a separate subject if your child will be taking that quiz. Saxon eliminates a separate year for Geometry entirely and just studies Cartesian Geometry in conjunction with Algebra and Advanced Math. The text for the tutorial is Euclid's Elements, from Green Lion Press. You might also find "The Bones" helpful during your study as well. You can find both books, The Elements and The Bones, at Amazon at discount. If you are a Greek student, rather than using the Green Lion edition, you might consider the Fitzpatrick editions which have the Greek text included as well- Volume I, Volume II and Volume III. If you would like a colorized version see the Byrne edition, but please do not use this version for class. I recommend you download a free demo version or a license of Geometer's Sketchpad. Having this software will allow you to make your own versions of the Geometric figures on the computer. Sketchpad is $10, but you can find a number of fine apps by searching "geometry sketchpad" in the app store. To register, please print out and mail in our registration form. Please send all propositions to gbt@gbt.org by Sunday night. The subject line should be in the following format. John Smith 4.2-4.4 Geoprop. Please do not send as attachments, but in the body of your email. Please write up your propositions in a notebook with all your reasons included with each step. Then remove the reasons for the steps and then send just the steps to me via email each week. The rectangle contained by A,BC is equal to the parallelogram ABCD. This is the enunciation of the proposition. It tells you what the proposition will demonstrate and is not included in your summary. Let ABC be an isosceles triangle having the side AB equal to the side AC, and let the straight lines BD and CE be produced further in a straight line with AB and AC. This is construction which you need to be able to explain, but is also not included in your summary. I say that the angle ABC equals the angle ACB, and the angle CBD equals the angle BCE. The “I say that” tells you once again what the proposition will demonstration and is not included in your proposition. Take an arbitrary point F on BD. Cut off AG from AE the greater equal to AF the less, and join the straight lines FC and GB. Here include includes more construction. Once again, be prepared to explain this when you present the proposition, but do not include it in your summary. Since AF equals AG, and AB equals AC, therefore the two sides FA and AC equal the two sides GA and AB, respectively, and they contain a common angle, the angle FAG. Here begins the actual proof so you have the first step of your summary. Therefore the base FC equals the base GB, the triangle AFC equals the triangle AGB, and the remaining angles equal the remaining angles respectively, namely those opposite the equal sides, that is, the angle ACF equals the angle ABG, and the angle AFC equals the angle AGB. Since the whole AF equals the whole AG, and in these AB equals AC, therefore the remainder BF equals the remainder CG. But FC was also proved equal to GB, therefore the two sides BF and FC equal the two sides CG and GB respectively, and the angle BFC equals the angle CGB, while the base BC is common to them. Therefore the triangle BFC also equals the triangle CGB, and the remaining angles equal the remaining angles respectively, namely those opposite the equal sides. Therefore the angle FBC equals the angle GCB, and the angle BCF equals the angle CBG. Accordingly, since the whole angle ABG was proved equal to the angle ACF, and in these the angle CBG equals the angle BCF, the remaining angle ABC equals the remaining angle ACB, and they are at the base of the triangle ABC. But the angle FBC was also proved equal to the angle GCB, and they are under the base. Therefore in isosceles triangles the angles at the base equal one another, and, if the equal straight lines are produced further, then the angles under the base equal one another. Here Euclid states what the proposition has proven. The steps you would send into me would be the following- repeated steps may be excluded if you like. Geometry students will be given an numerical evaluation for their work in the tutorial. There are four levels of performance. No letter grades are given. In order to guarantee a pass in Geometry, at the end of the year, students must have maintained an average of two or higher for their score and have correctly identified at least 60 steps. Of students who have not maintained this standard, the lowest 15% will need to take Geometry again in order to continue with GBT. Whether a student fails or not is ultimately at the discretion of the tutor, however, the numerical system will be held outside of extraordinary circumstances. If you feel your students is falling behind, it would be good to encourage them to deliver their propositions by memory as often as they can and to volunteer for the large proofs. Please keep a record of your performance on all propositions that you demonstrated so that you can find your semester average. The fundamentals of geometry: theories of triangles, parallels, and area. Constructions for inscribed and circumscribed figures. 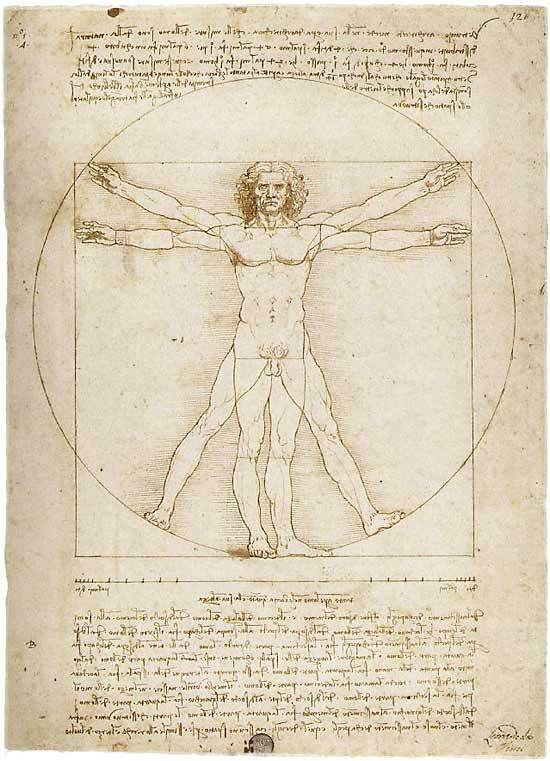 Similar figures and proportions in geometry. Continued proportions in number theory. "At noon we went home for dinner and then back again for history in the afternoon. The history was a pretty hard paper and I got dreadfully mixed up in the dates. Still, I think I did fairly well today. But oh, Diana, tomorrow the geometry exam comes off and when I think of it it takes every bit of determination I possess to keep from opening my Euclid . If I thought the multiplication table would help me any I would recite it from now till tomorrow morning." "if God exists and if He really did create the world, then, as we all know, He created it according to the geometry of Euclidand the human mind with the conception of only three dimensions in space. Yet there have been and still are geometricians and philosophers, and even some of the most distinguished, who doubt whether the whole universe, or to speak more widely, the whole of being, was only created in Euclid’s geometry ; they even dare to dream that two parallel lines, which according to Euclid can never meet on earth, may meet somewhere in infinity. [Lobechevski] I have come to the conclusion that, since I can’t understand even that, I can’t expect to understand about God." "On my return to Geneva, I passed two or three years at my uncle’s, expecting the determination of my friends respecting my future establishment. His own son being devoted to engineering, was taught drawing, and instructed by his father in the elements of Euclid : I partook of these instructions, but was principally fond of drawing." an exactly opposite direction? If he can, then is it as marvellous a thing in him, as if a man were able simultaneously to go through the demonstrations of two distinct problems in Euclid . Nor, strictly investigated, is there any incongruity in this comparison. I WILL give no more of the details of my hero’s earlier years. Enough that he struggled through them, and at twelve years old knew every page of his Latin and Greek Grammars by heart. He had read the greater part of Virgil, Horace, and Livy, and I do not know how many Greek plays: he was proficient in arithmetic, knew the first four books of Euclid thoroughly, and had a fair knowledge of French. It was now time he went to school, and to school he was accordingly to go, under the famous Dr. Skinner of Roughborough. I picked up the dignified-looking book called Euclid’s Elements for the first time as a 15-year-old sophomore with a passionate dislike of math. Although the black hardcover book with its silky white pages had a striking visage unlike any math textbook I had previously encountered, I was not going to let appearances deceive me. I knew math was math, and no pretty disguise would change that. My evaluation of Euclid was dramatically altered from the first page. Euclidimpressed me with three primary items that had a significant impact on my thinking and greatly prepared me for future studies. First, his method of intellectual organization surprised and delighted me. He did not confuse his point with pointless palaver or confounding circumlocutions. He knew exactly what he wanted to prove, why he wanted to prove it, how he wanted to prove it, and he proved it! I had always valued organization in real life, but I had never thought about intellectual organization before. Euclid presented a picture of what mental organization looked like, and how beautifully intricate it could be. “Perhaps,” I began to consider, “this structure and clarity could be applied to other intellectual pursuits, like writing, speaking, and heavens, maybe even Algebra.” Euclid made me aware of the beauty of orderly thought and inspired me to seek and create that structure elsewhere. Secondly, the Elements introduced a cast of abstract ideas that forced me to exercise my “mind’s eye” and greatly aided my comprehension of other abstract ideas. For instance, discovering that every “line” (based on Euclid ’s definition) was merely a representation of a real line, which could not be reproduced physically, helped clarify what Plato meant by his theory of the forms. I was fascinated by the almost mystic quality of “points,” “triangles” and the rest, and contemplating them created a new “cabinet” in my mind where I could file away related information of an abstract nature. The third thing I loved about Euclid was his method of building irrefutable arguments. By constructing simple proofs from undeniable definitions and “common notions” and then using his simple proofs to prove complex ones, he assembles a venerable army of unassailable arguments. Often I would read the thesis of a complex proof and think, “Oh wow! He’s never going to be able to convince me of this ,” but in the end, I was always forced to concede that what he said was true. As a somewhat over-confident youth, these intellectual defeats surprised me at first, then humbled me, and finally thrilled me. I fell in love with geometric syllogism, because of its organization, abstract content, and dazzling certainty. Studying Euclid encouraged me to grasp these principles for my own, and enriched my reading of philosophers who have striven for clarity in these areas as well. Euclid was also vital stepping stone to reading Kant, who was the greaquiz academic challenge I have faced. How does Geometry apply to cathedral construction?